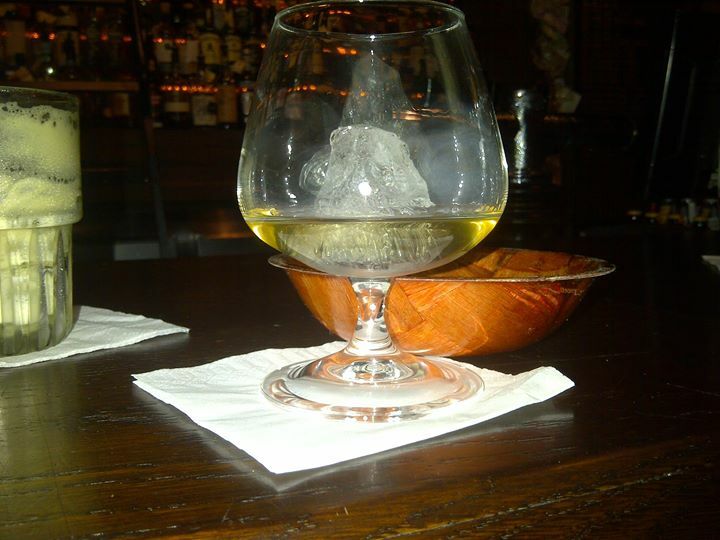 One of Travel Czar’s favourite places in Sydney is an underground Whisky Saloon. This place ticks the boxes of a typical Texas/Country Western – It’s a whisky bar (tick), there’s a Travel Czar, who is kinda an outlaw from out-of-town (tick), alternative bar tenders (tick) & “Look at Moi” ladies who often sit at the bar with sipping cocktails (tick). It reminds me of another famous bar in New York (check it out). This place is pretty hidden and good luck getting in (unless you want to wait in line) late on Friday or Saturday night. The staff are knowledgeable about their whisky and always stop to chat, there’s a great vibe and the crowd is super – I have made some amazing friends here over a nice swig of whisky at the bar. For today, first there is a classic Ballantines & Apple Juice (freshly squeezed apple juice and Ballantines whisky)! 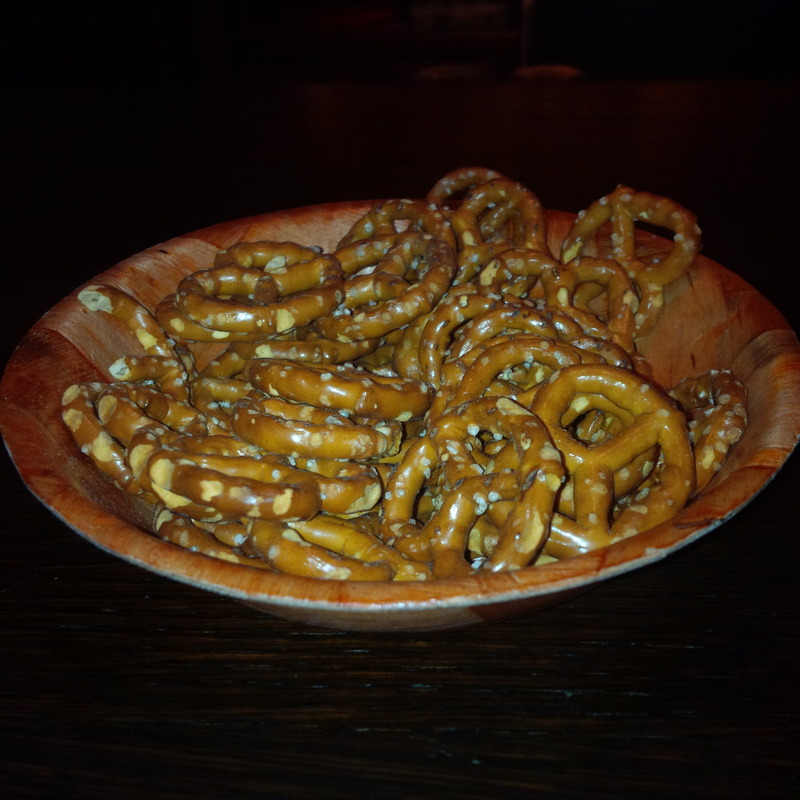 The drink is perfectly paired with crunchy salty pretzels (which are complimentary). The simple things in live can be so amazing! The smooth refreshing apple juice with mini pulp pieces and the little foam on top just glide across your tongue awaking every taste bud, touching every sense, it goes beyond taste: it completes things which are incomplete in your life, it does the thinking for you, you don’t need to do a thing, just let yourself go and let the drink take you where it wishes! Then the bite of Ballantines whisky comes through the mist of the apple juice, it gives you little “sit back” moment, it dulls the senses, it places a smile on your face even when everything around you falls apart. Nothing else matters for that moment. The Apple & Whisky is in charge – it’s the boss! It’s the drink for every moment. 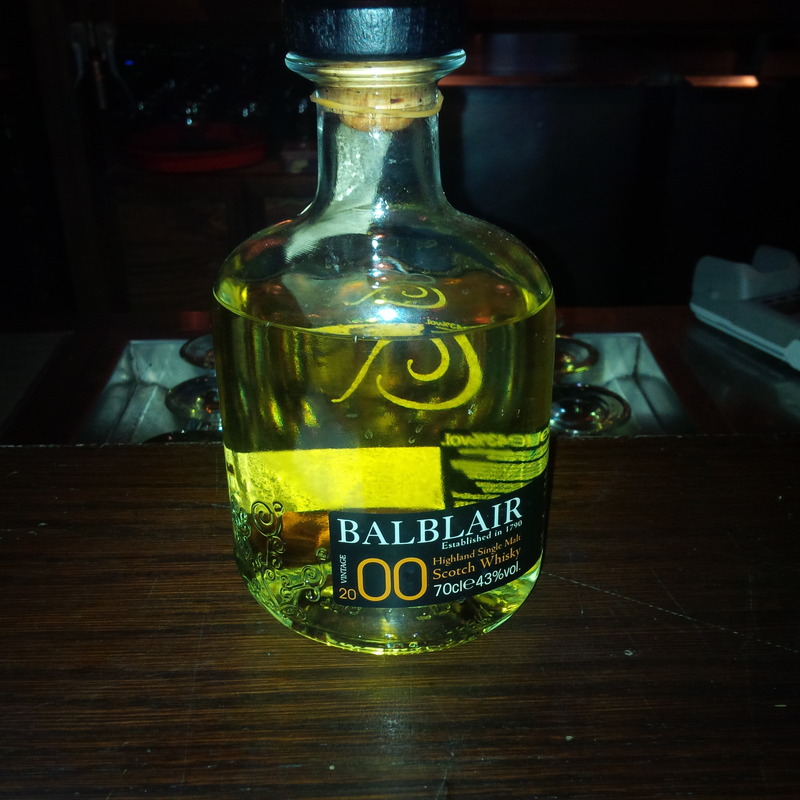 Next we have the Balblair (2000) – Last few times I was here they didn’t have this – so glad it’s back. A bit of history for you, Balblair was founded in 1790 by John Ross. The distillery is in Edderton (a village near Tain) in the Northern Highlands of Scotland, a mountainous region with beautiful springs. I take a sniff and the waft of some light fruitiness (notably pineapple) along with the touch of malt and honey take a little dance down my nose. It’s beautiful. Now for “the taste moment”, I have a small taste and the honey and light malt flavours just grip my taste buds, there’s also a hint of vanilla – smooth. Then the alcohol and a little spice after taste provides a bite to bring you back down to earth. I nurse it for a while until the final sip is extinguished on my tongue. 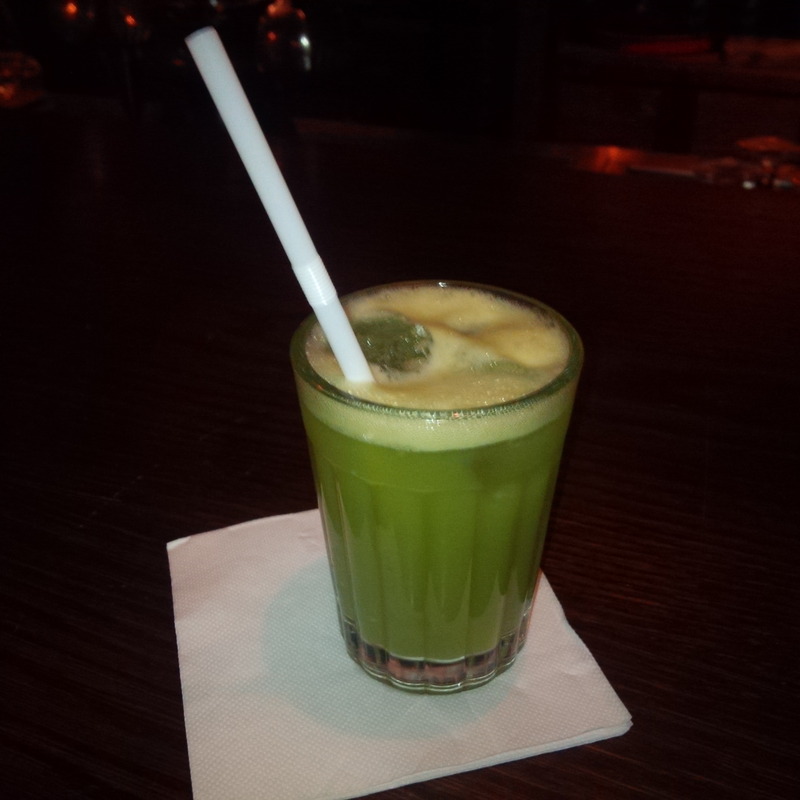 A change of pace is needed – this place has a small cocktail list, but there are some pretty impressive drinks. The Peach Blow Fizz (Like the Starhill Fizz in Hemmesphere). It’s got Gin, Lemon, Cream, strawberry topped with Ginger beer. 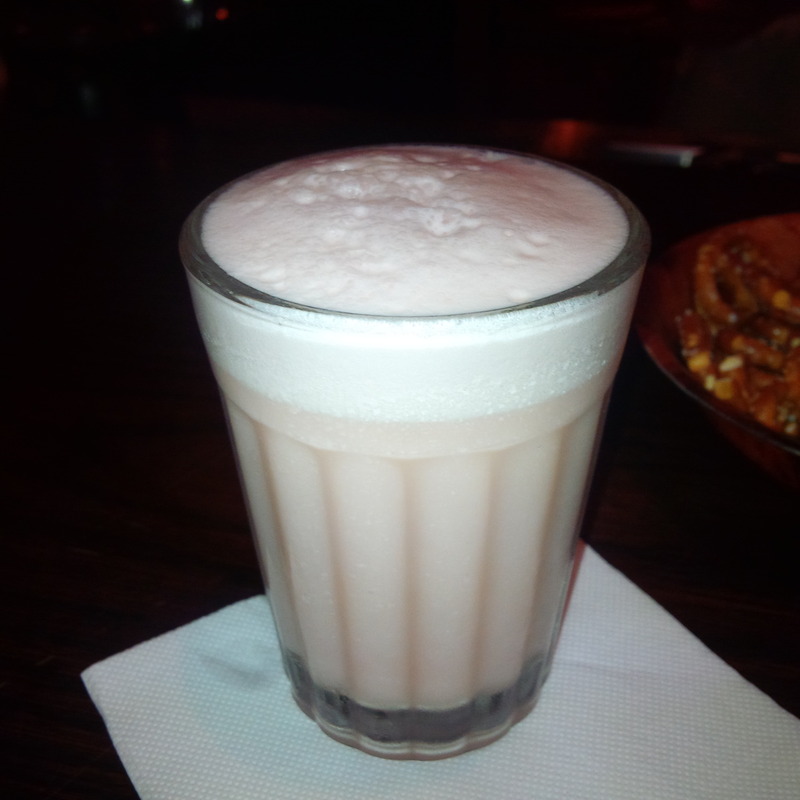 The drink is amazing, sweet taste of strawberries flow through, the refreshing gin relaxes you and the ginger beer loses the kick in the cream but provides a lovely balance through the drink. It’s soft, flavourful and refreshing! I wish I could have one of these every day. Another Ballantines & Apple is added to the collection and so the afternoon winds-up and the Travel Czar has to leave… the jetset life awaits him! Life, love, whisky, pretzels and everything! 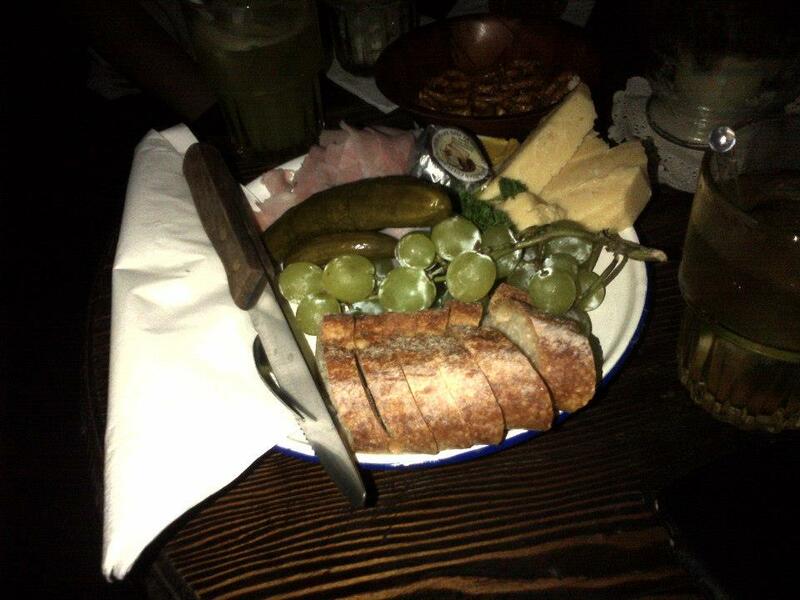 By the way if you’re hungry – they don’t really do food, but they whip up a classic Charcuterie Board (see picture below from a different visit) which really satisfies the minions.